Mr. Barry Sandford, Esq. from Melbourne, Australia is our first Patron of Hemp Technologies. Barry has 35+ years hands-on experience of sales and marketing of building materials and has helped numerous people design and complete their remodels, renovations and new construct projects as well as hire and train staff in the building industry. In addition to his kind patronage Mr. Sandford also mentors for hemp education and sales. Dr. Roger Bodley is an English medical graduate who came to Tasmania in 1976 and worked there for 6 years before returning to train as a radiologist. Worked in Oxford and Stoke Mandeville Hospital (which includes the National Spinal Injuries Centre, home of The Paralympics) and after retirement from the NHS returned part time to the beautiful NW Coast of Tasmania to work, teach and to build a home on Table Cape. Having come across Hempcrete at the London exhibition "Ecobuild" in 2008 I decided that my house was to be a showcase for this exciting material. The last few years have seen the slow realisation of that idea. 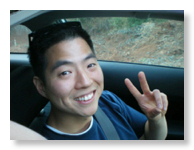 Andy Kim, 34, is from Portland, Oregon and received his Bachelors in Psychology at Portland State University, with a focus in Industrial & Organisational Psychology. After college, Andy focused on green buildings and sustainable building materials. He made connections within the industry and is now working with many industry professionals in bringing commercialisation to innovative, low carbon building systems, to the Pacific Northwest. Andy enjoys Oregon summer’s, skiing, hiking, fishing, outdoor activities, learning new things and listening to live music. Scott Sutton graduated from Oregon State University in 1998 with a Bachelor of Fine Art and graduated from University of New Mexico with a Master of Landscape Architecture in 2012. As an artist, Scott has explored a variety of mediums in the creation of art from painting, sculpting, printmaking, and drawing. The use of materials has become an important focus for Scott and has ultimately influenced not only his art, but also his personal connection to them by understanding their ecological significance. Scott has been making handmade paints for the past 16 years and within the past 8 years has begun to gather, process, and use local minerals as a source of pigment for the creation of art. Educating others about the use of natural mineral pigments in the creation of art has been a focus over the past ten years through classes he has taught to children and adults. The use of sustainably harvested local mineral pigments will also become a part of Hemp Technologies in the near future through their use in lime based paints. Scott has also begun to integrate productive landscapes such as fruit orchards, vegetable gardens, medicinal gardens, rain gardens, pollinator gardens, bioswales, bioremediation, mycelium and mushrooms, and in general the principles of permaculture into the function of aesthetically designed environments. Scott enjoys spending time outdoors absorbing the various elements that give form to the unique environments in which we live and explore. He also enjoys creating art, listening to music, and eating fresh food. Kartik Madhok has worked on projects in the field of solid waste management, renewable energy and bio fuels and is presently consulting to green vortex electronic waste management company and partners at praesto polymers. As an avid iHemp advocate, Kartik hopes to promote hemp farming in India for industrial and horticulture purposes and plans to work with businesses/organisations to promote hemp-based products and building materials. He is a partner at Indian Hemp Associates which was incorporated to facilitate industrial hemp farming, hemp business ventures and provide market support for hemp based products. * Provide support to organisations/social enterprises working for sustainability of villages and rural areas. Adam Wong, 27, is from Salt Lake City, UT. His passion for hemp stemmed after high school when he researched into the sustainability of the crop and all of its industrial applications. He began selling hemp products (SLChemp)in local markets and online and has now opened a retail location in his hometown of Salt Lake City. Adam has engulfed himself in industrial hemp; eating it, wearing it, and talking about it daily. He has a drive to grow this industry and help educate others about the opportunities this plant has to offer, both environmentally and economically. He is continuing to pursue his degree in Entrepreneurship from the University of Utah. Adam lives an active lifestyle and enjoys everything outdoors, from Hiking in Utah’s back country and national parks, to climbing/repelling down cliffs in the Cottonwood Canyons. He especially loves the winter months as he has become an avid snowboarder growing up in Utah. Ben Droz lives and works in Washington, DC, and is honoured to represent Industrial Hemp on Capitol Hill. Ben has worked for Vote Hemp for nearly five years as Legislative Liaison, where he has helped gain over 30 co-sponsors for The Industrial Hemp Farming Act, and continues to work every day to see iHemp become legal to grow in the United States. 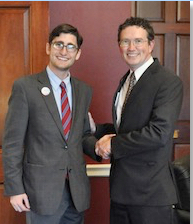 Pictures here of Ben with Congressman Thomas Massie. Droz is a co-adjunct professor at Oregon State University with Hemp-Technologies founder Greg Flavall, and has had the opportunity to speak at Hempfest, at the Hemp Industries Association conference, on college campuses, and at other education venues, about the current legislative status of Industrial Hemp. Ben is very excited about the recent explosion in support for hemp, and the overall industry. He is excited to see what business opportunities hemp can provide and hopes to see the first Hemp Industrial Village in New Zealand a great success, to be emulated in different cities throughout the United States and the World. 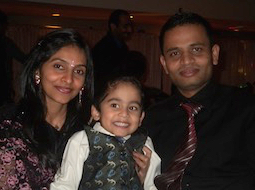 Kalpesh Patel, 37, was born In India and immigrated to USA in 1998. With a major in Commerce Kalpesh has worked in major motel businesses, both chain and independent. In 2002 they bought a small 28 room motel and in 2013 they have expanded with a partnership in another motel. Kalpesh has always thought about saving the globe and was going to build a new ”green” hotel when he happened across Hemp Technologies and decided to build his new ”Evolve” hotel (trademarked) with HEMP.